After the festivities for the independence it remained calm for a few days in the new African republic. When mutinies took place in the army, everything went haywire. The country sank into a long period of chaos and distress. 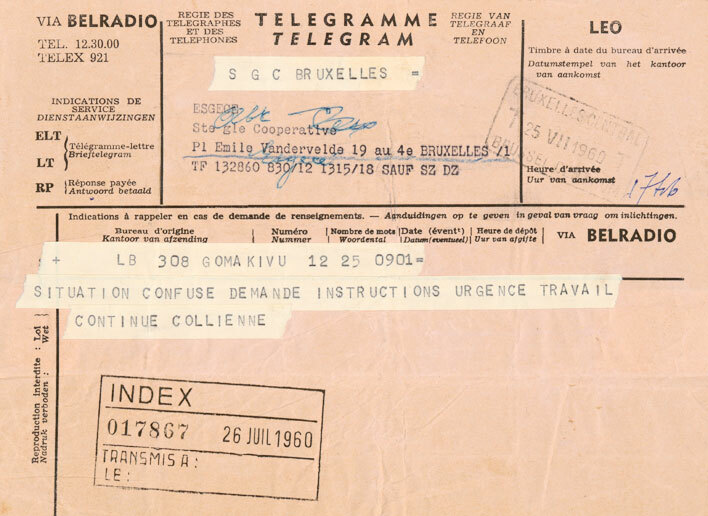 Received telegram about the chaos and a call for instructions, 26 July 1960.